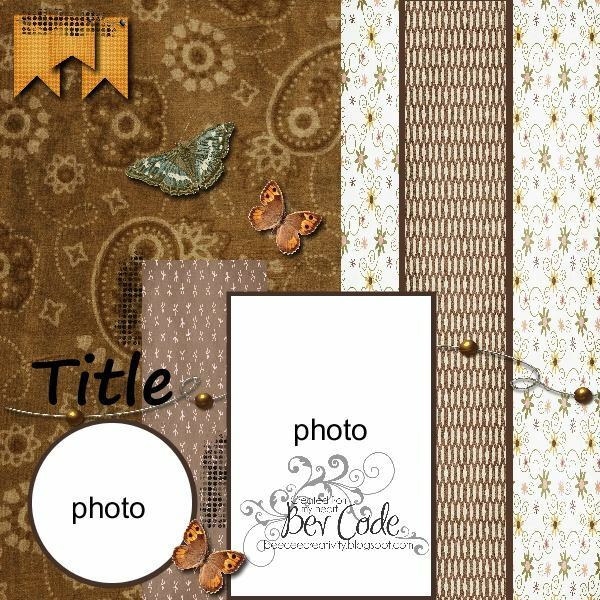 I have a Design Team card up on the Just Imagine Crafts/Kreaxions Punches Blog today. A “Honeycomb” embossing folder, some black, white and yellow cardstock and some embellishments, along with the Kreaxions 4 in 1 punch #918 make a happy, little bee card. 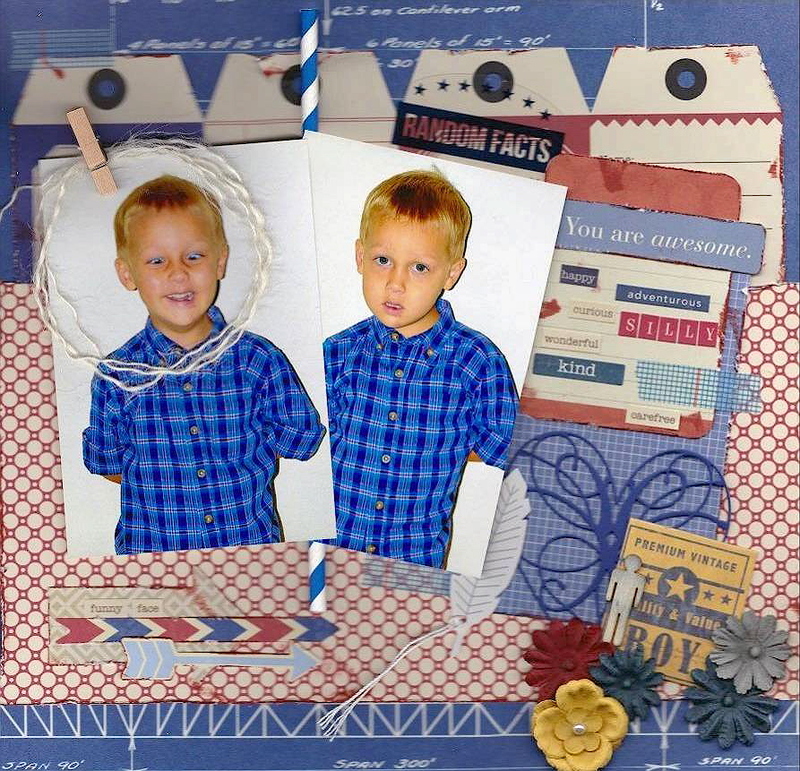 … So I’m off to do more of what makes me happy … paper crafting. I used the Kreaxions punch with no insert to create those cute little border strips. ... and this is what I did with one of the die cut flowers I made. 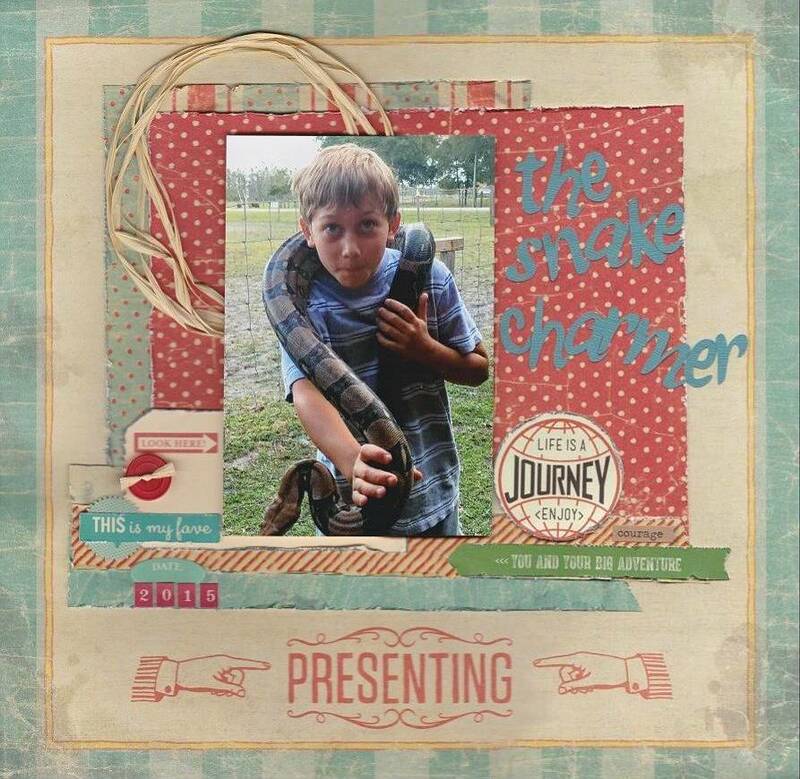 Hope you can join in the challenges for the Turtle Soup May Mini Crop. I'm sharing a post for the Turtle Soup May Mini Crop. 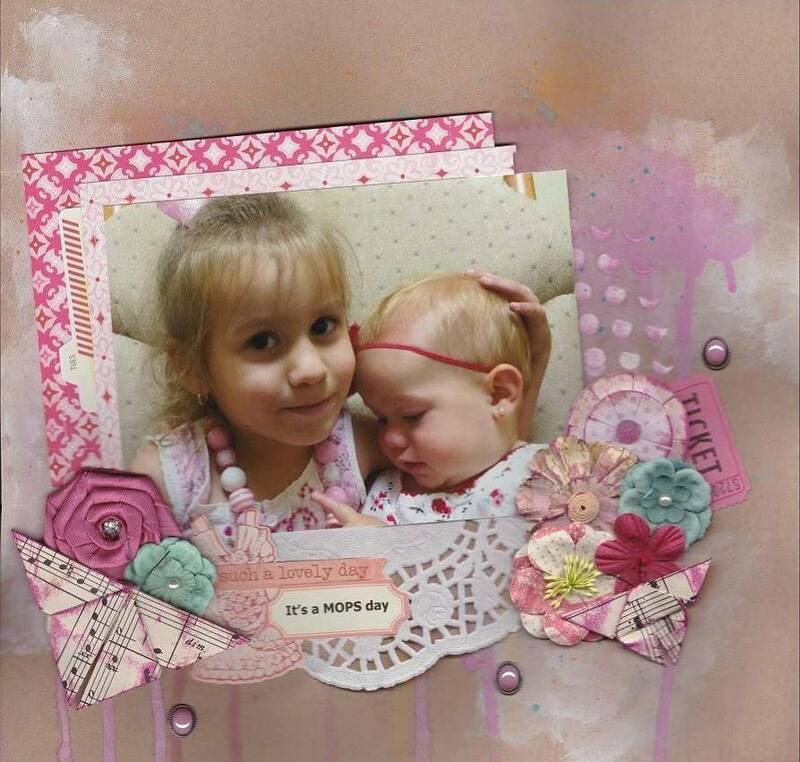 My challenge is to make a die cut flower and use it on a project. Be sure to check out the forum for the rest of the May Mini Crop Challenges. If you purchase flowers to add to your layouts and cards it can get expensive. 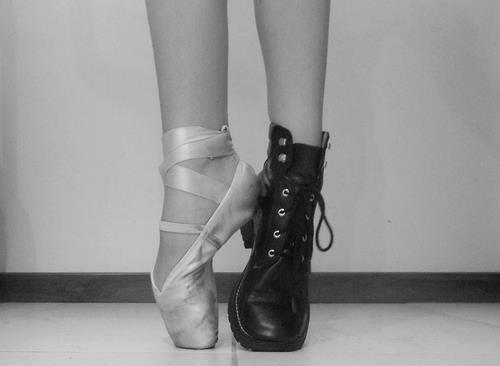 And chances are you never have the right ones to match your project. Making your own flowers is an option … but there are so many tutorials out there … oh the choices! I love making die cut flowers and I’ll share with you how I make mine. I use my Cricut and the Flower Shoppe cartridge to cut my die cut shapes. By using a burnishing tool, a toothpick or small round dowel stick, along with some ink and a pearl or brad I add form, shape and dimension to the die cuts. I cut shapes at 2", 1 1/2", 1" and 1/2". I rolled the edges of each shape with a toothpick. other, starting with the largest and working to the smallest. I then added a pearl or brad in the center. Today I’m sharing a Design Team card on the Just Imagine Crafts/Kreaxions Punches Blog. of the Design Team has been up to this month. I created this card using the B Stencil, the Circle Cutter, the Kreaxions 4 in 1 Punch #901 and Positioning Parts 6.8 (small). The little butterflies are the negative pieces left over from punching the circle. I love how dainty they are. 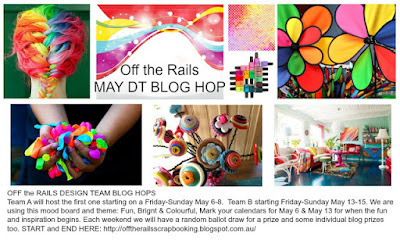 Today Team B hosts the Off the Rails Design Team BLOG HOP. It runs Friday May 13 through Sunday May 15th. Please visit each blog and leave a comment as you're hopping along. for a RAK from me. One random winner will be picked. For my Blog Hop project I completed a layout of Gracelynn and Faith-Anna. I used the butterflies that I did the tutorial on previously. I'm sharing this tutorial over at Off The Rails Scrapbooking today - there are many tutorials out there on how to make an origami butterfly, but I thought I would share a step by step tutorial on how I make mine. The nice thing about this butterfly is that it’s easy and you should have everything to make it right there in your stash. For my butterfly I cut a 4 X 4 inch square. The smaller the square the smaller the butterfly will be. Now fold the center folds inwards to make a big triangle that is open at the bottom. Next fold the top layers on each side upwards towards the top. Now fold the corner of the solid piece upwards over the edge. Flatten the center only ~ not the edges. in origami but I it’s necessary because of the wire you will use for the feelers. Ink the edges of the butterfly if you wish to do so. Cut a small piece of thin wire and make the feelers. Attach the feelers with a glue dot. your butterfly together and flatten the crease. May first and that means the Design Team Reveal is up at Off The Rails Scrapbooking. 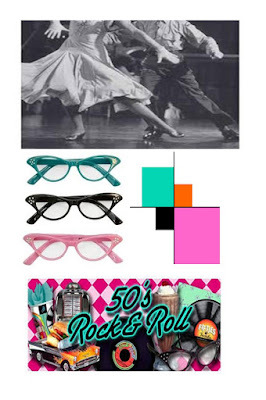 The colors of the mood board this month are so bright and fun and the theme is “dance”. When I googled dance photos and found this one it screamed ME … love this photo! I created this canvas using a variety of mixed media art supplies and distressing techniques. Be sure to check out the blog to see what the rest of the talented Design Team came up with for this month’s mood board. I’m sure you will be inspired.